The Dreambox 7080HD is able to play many video file formats (mp4, mkv and others) natively, without the help of the VLC player plugin and the VLC daemon. Most of the files I have are stored on a Synology DiskStation (with two parallel disks for data safety) and are exported via NFS to the clients. It is possible to mount NFS shares on the Dreambox. The GUI is not installed by default; you have to install the enigma2-plugin-systemplugins-networkbrowser package. Once you did that, you can run the network browser in Menu -> Settings -> Network -> Network browser. 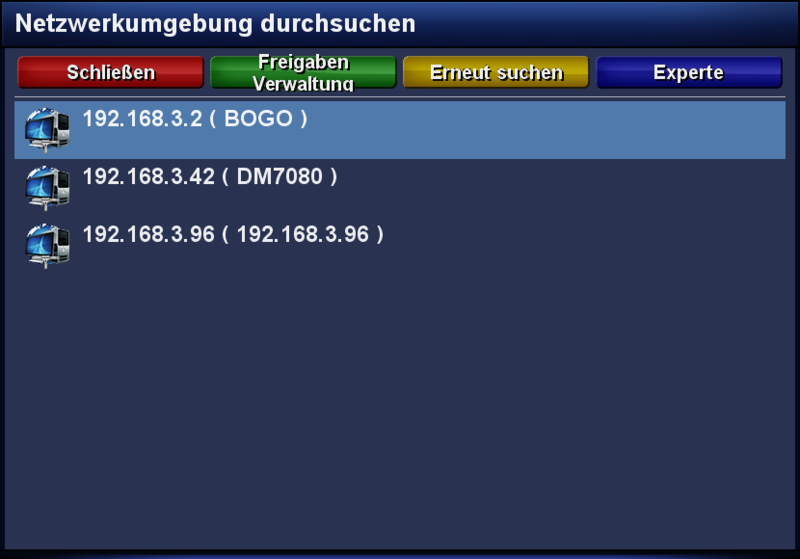 Once you added a share, you can manage it via Menu -> Settings -> Network -> Mount manager. Videos from the mounted shares can be accessed with the "Media Player" which is available in the main menu. 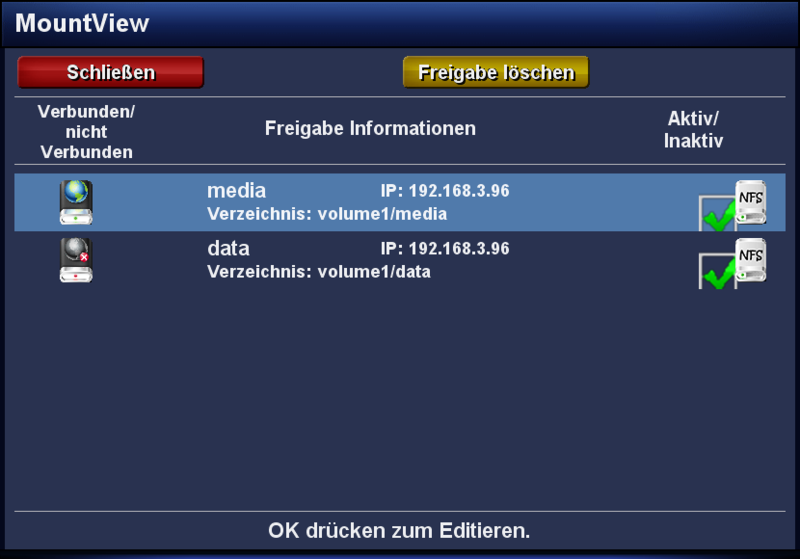 Note that "Media Player" (package enigma2-plugin-extensions-mediaplayer) is different from the "MediaCenter".